The Swiss Army Classic is, well, a classic! It’s a simple knife made in Switzerland that can be carried on a key ring or in a purse or suit pocket with enough tools to get most jobs done. 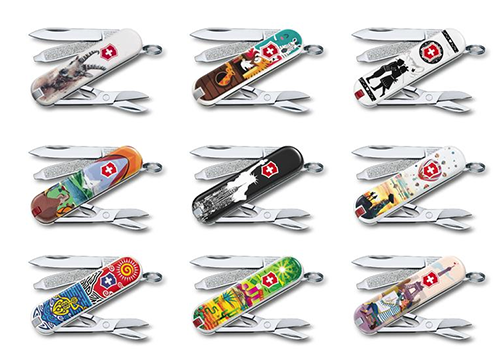 Victorinox has been releasing the Classic with some great designs every year and this makes it possible to give one of these great tools as a really nice gift. The price tag is still pretty low at $16.95 and these are just in time for Christmas! Great Knife Kits and Training Tools – Build Your Own Knife! These Knife Accessories Make Awesome Holiday Gifts!